The goal of this post is to design a circuit to provide a constant 1A current to the red and blue LEDs. Thanks to Chris Gammell for his Contextual Electronics course and mentoring. Chris walked us through designing a current sink which was easy for me to see how I could modify the design to act as a current source for the two LEDs used in this project. It was an achievement for me to take his design and evolve it into an LED current driver. gave me a better understanding of how to think about heat transfer when watts of power need to be dissipated. The LTSpice IV circuit model that is discussed below is located at this GitHub location (LEDCurrentDriver.asc). The Kicad schematic is located at this GitHub location. Simple to use, it can drive up to 16 3W LEDs and has a PWM dimming. However, the challenge with the dimming is it is all or nothing. Either all the LEDs are dimmed or none are. It seemed to me the power supply tester circuit we are designing in Contextual Electronics is pretty close to what is needed to provide a constant current to the royal blue and red LEDs. I discussed the project in an earlier post. I kept the design of the power tester Chris had us working on – the beautifully simple current sink that feeds a “programmable voltage” into the non-inverting input of an op amp. Because the op amp is configured as a voltage follower and Vin+ = Vin-, the output voltage controls how much current the MOSFET lets flow through its gate. Given a known resistor – R1 in the image – and a known programmable voltage – V2 in the image – the current can be adjusted to a range of constant current values. Figuring out the voltage drop of a component is important in figuring out how much heat the component will generate. Too much heat, stuff starts to smoke and melt. The components on the constant current path include the LEDs, the MOSFET, and the known resistor (R1). How much heat does each component generate? The voltage drop gives us the magnitude since P = IV. The first thing it points out is how much more efficient red LEDs are to the other colors. The voltage drop at 1A is ~ 2.65V. shows the voltage drop at 1A to be ~3.25V. When the current is at 1A, the voltage drop is tiny .1V. as the bottom leg of a voltage divider to supply 0 to .1V to the non-inverting op amp. The top of the voltage divider (Vin) is 5V. I want Vout to range from 0 to .1 V. The ratio (Vout/Vin) is 1/50. I already have a POT that goes from 0 – 5K that I’d like to use. Vout = Vin(R2/R1+R2) -> .1 = -> 1/50 = R2/R2+R1 -> 50R2 = R2 +R1 R1 = 49R2 => R2 = 5K, R1 = 49*5000 = 245K. Checking the math: .1V = 5(5K/245K+5K) -> .1V = 5(5/250) = 5/50 = 1/10 = .1V. In order for R2 to go from 0 – 5K, R1 = 245KΩ. 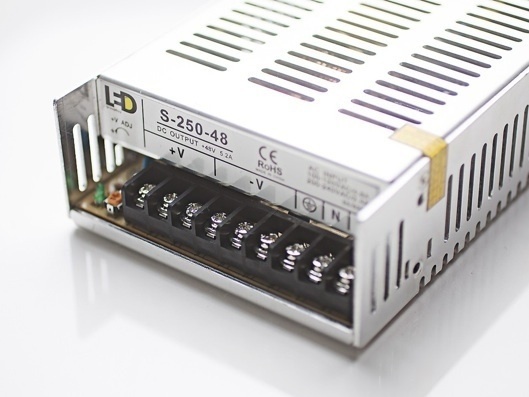 Package – TO-220 DPAK – very common for power MOSFETS. SOA (Safe Operating Area) – the maximum power the MOSFET can dissipate. RDS(ON) – the resistance from drain to source when enough voltage is applied to the MOSFET’s gate such that current is fully flowing. Note: While knowing the RDS(ON) is useful, I didn’t end up using it directly since the value is taken into account by the SOA graph. a VGS(th) of no more than 5V to allow 1A of current to flow. This means a Logic Level MOSFET. There is range from where a MOSFET starts turning on the current to when the current is fully flowing. 38+72+9=119˚C. The data sheet states the maximum rating is 175˚C. This heat sink should work. Looking back at the LTSpice IV simulation, I = V/R, I = .1/.1 = 1. The resistor’s value is .1Ω. The amount of power burned is P = IV = 1*.1 = .1W. We need a resistor that is .1Ω and can withstand burning at least .1W. .1W is not that high so I am choosing an inexpensive SMT 0805 package resistor (digikey link). I like to use 0805 sized caps and resistors. I will use an MCP6241 for the op amp because I have some in stock. According to the data sheet, the positive voltage rail can go up to 5.5V. Other characteristics are not that important. I need a voltage regulator that takes 9V as input and outputs 6V. The voltage regulator I use in the Ladybug shield should work fine. 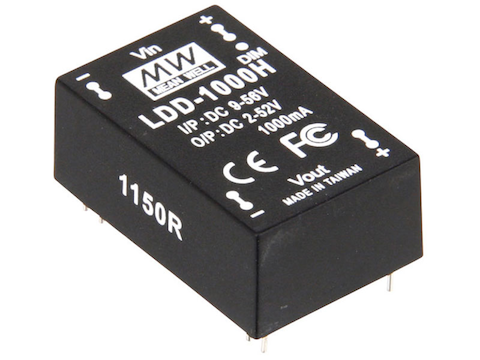 I use a 7805 sot-89 packaged voltage regulator (data sheet). I’m off to order parts so that I can build a prototype. Thanks for reading this far. Please find many things to smile about. I showed my current hydro lettuce setup in a previous post. I want to explore setting up the optimal LED setup for growing just one leafy plant. My current setup can hold up to 9 plants. Most setups I have seen wish to accommodate many more than 9. I’m interested in starting with one and adding as needs expand. Is there an effective and efficient way to build an LED setup for leafy plants in which it starts with one and then incrementally adds on more? 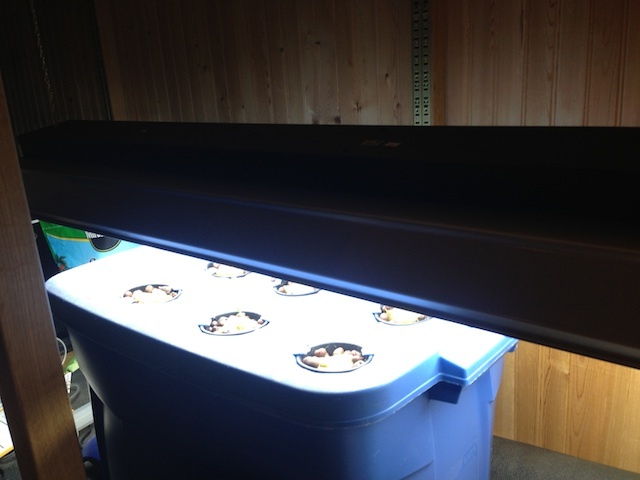 In this post I explore part 1 of building an LED setup for one lettuce plant. – the LEDs. Once I am able to test it out, I will consider a future effort that connects single LED systems together to support more lettuce plants. The goal of this post is to review the circuit design of a single LED setup for growing lettuce. There are several lighting technologies that I could choose from. I choose LEDs because they are effective, efficient, becoming more and more affordable, and researched. My current design uses a white and red LED. For this LED setup I will use blue and red LED lights. 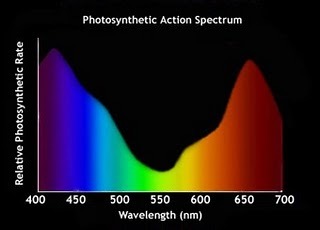 Blue and red lighting is known to be effective for enhancing photosynthesis. 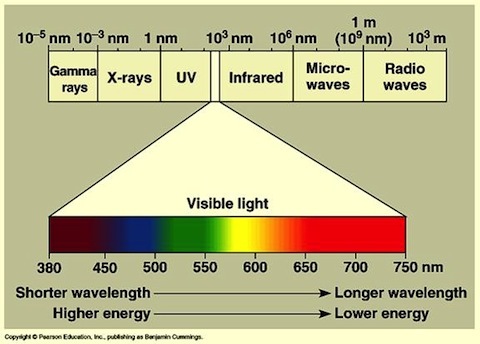 I will use LEDs that are close to these wavelengths if they are good quality and easy to obtain. I chose Cree LEDs because I wanted to start with “the best” to avoid variances in results because of lower quality. The red wavelength is slightly lower than idea at a little more than 630nm, but close enough. The royal blue wavelength seems to be within the ideal range. I chose to buy in quantities of 6 from LEDGroupSupply.com (links red and royal blue). I have been happy with previous purchases. While I haven’t done much research at this point on sourcing, I assume the prices paid are at the high end. Since this is testing I am opting for time, quality, and piece of mind. That’s it for now. Thanks for reading this far. Please find many things to smile about. I’m adding testing the RGB LED on the Healthy pH Shield. I added the RGB LED to provide a visual indication when the Healthy pH Shield is working or not working. Given all the layers that come together in order to adjust the pH, a visual indication can go a long way in helping debug an uncooperating piece of hardware/software! The goal of this post is to provide text behind the RGB LED diagnostics tests to be run starting with Dev-Rev2 of the Healthy pH Shield. Arduino.cc ReadASCIIString Tutorial – I used some of the code to get the R,G,B values from the serial monitor. Google is our friend! 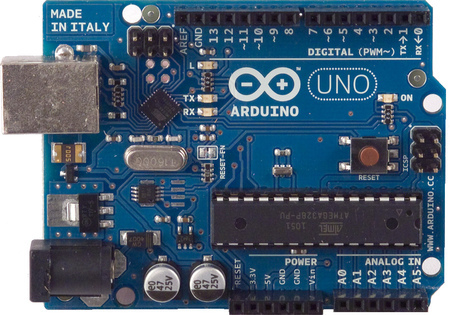 Arduino.cc is a great resource. Thanks folks on the Arduino team for the useful content and excellent hardware. You have dramatically simplified my ability to poke around and see how this stuff works. Design: I am currently working on Dev-Rev2 of the Healthy pH Shield. 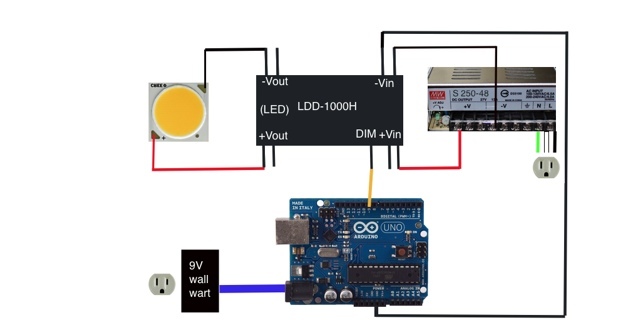 The RGB LED is located on the Arduino schematic within the Healthy pH Shield schematic. The kicad files are available at this GitHub location. Test code: I am continuing my test harness to include an RGB LED test. The code is located in LEDDiags.cpp. The firmware source is located at this GitHub location. RGB LEDs come in either common anode or common cathode. The one used in the design of the Healthy pH Shield is a common anode RGB LED. The reason for this was the ready availability of the LED that is used (link to BoM). I’m used to common cathode RGB LEDs where the color red – for example – is 255,0,0. Since the anode RGB LED shares V+, the RGB values for red is the reverse: 0, 255,255. This could be a spot confusing to get used to at first. So now the pin numbers on the layout do not match the pin numbers on the data sheet. But the colors are now aligned to the pins. turn on the RGB LED passing in an RGB value in the form 0-255(red),0-255(green),0-255(blue). For example, to turn the light green, 255,0,255 is entered on the serial monitor. Green is not working. Pins for red and blue seemed swapped? The code is found in LEDDiags.cpp (link). It is straightforward so I won’t detail it here. the layout in PCBNew/schematic symbol does not match the pins in the data sheet. the Green color does not work. Perhaps more testing could determine why the green is not working. However, I am not sure if the layout issue isn’t blocking the green color not working. For that reason, I’ll clean this up for the next rev and test then. The RGB LED diagnostic test is very simple. It is included in a post for completeness. The next test diagnostics will be for the temperature sensor. I’m also hoping the Healthy pH PCBs arrive very soon so that I can solder on the parts and start testing! From now on I’ll refer to the Arduino + sensors + RF (i.e. : no 802.11 connectivity) as the Sensors Node. Each of these sensors will provide valuable information that will help me grow delicious fruits and vegetables. This post focuses on sensors for (air) temperature, humidity, and light characteristics. Light sensing is given the most attention because the measuring and calculations are more complex than those for sensing humidity and temperature. Perhaps the reason for this is my lack of context regarding key concepts of light characteristics. For those that are experts in this area I have a favor to ask. Can you please correct any information you read is incorrect or…it would be great if you could enhance understanding of this amazing and rich topic (light characteristics)? After publishing this post, a member of the hydro subreddit forum made a comment that got me thinking about what sensors the Sensor node really needs for day to day operation versus setup and maintenance. I will ignore maintenance for now (usually a bad thing to do…?) and focus on day to day operations. I really only need to know the color temperature, LUX, and PAR value for setup. These are important – and worthy of more exploration, but I would rarely raise an event or be interested in the day-to-day change UNLESS the Color Temperature, LUX, or PAR changed dramatically. I see the light being ON as the most significant event. More common than drastic changes in LUX, Color Temperature, or PAR. Moving forward I will use a very simple and inexpensive photoresistor. I’m using the DHT22 temperature-humidity sensor from Adafruit. 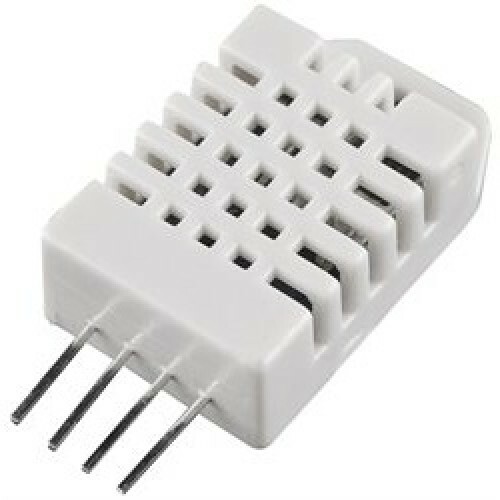 This seems to be a popular sensor for measuring temperature and humidity through an Arduino. Not surprising, Adafruit has an easy to follow tutorial on using the sensor. The DHT22 is simple to use. 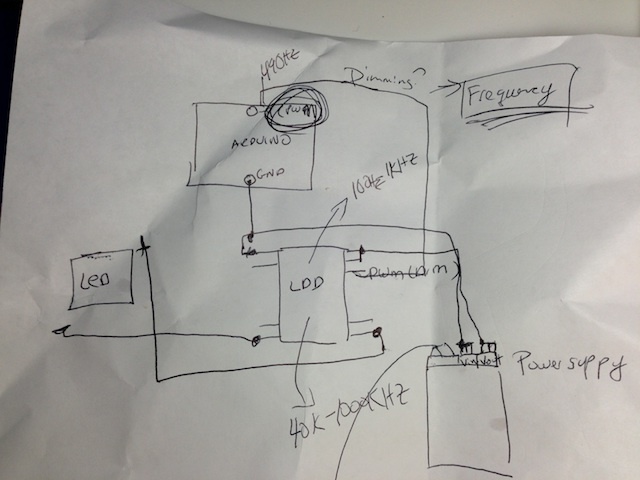 Check out Adafruit’s wiring diagram. It is so easy I’ll leave the wiring up to you. Because my journey is to enhance my family’s food with fresh fruits and vegetables grown indoors, I am interested in measuring light characteristics as they relate to plant growth. 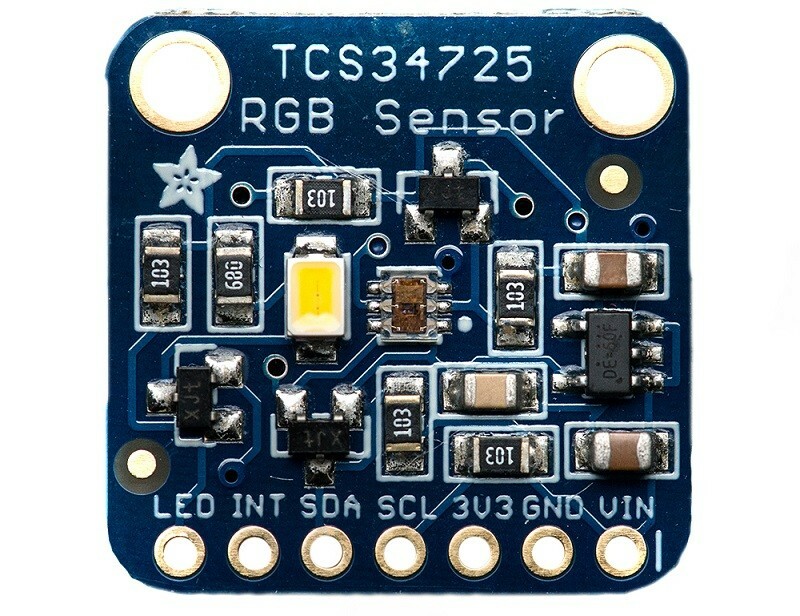 I chose Adafruit’s TCS34725 color sensor breakout board because it provides not only the LUX value of the light source but also the color temperature. I was hoping to also get the PAR value – a more interesting light characteristic than LUX values for plants given the photosynthesis process of plants. While this chip returns RGB values, alas – RGB values cannot be reliably converted into PAR values. A DIY PAR implementation for $70. This is a “stand alone” meter built by what I perceive as a very sharp person. The SQ-225: Amplified 0-5 Volt Electric Calibration Quantum Sensor from Apogee for $189. Angry_Ohm mentioned this option. I ended up purchasing the DIY PAR meter. As noted earlier, I don’t need a sensor for each sensor node. Rather a PAR reading during initial setup and occasional check-up. According to Apogee’s excellent technical support, the SQ-225 seems very simple to use with an Arduino. The sensor has 3 wires. The white goes to 5V, black to GND, and green to an analog pin. For many of you, all the delightful ways for chips to communicate with an Arduino are well known. Being new to it all, I like to briefly look at the pros and cons when I start using a new way to communicate over a bus. Unlike the nRF24L01 which used the SPI to communicate with the Arduino or the DHT22 which uses a digital pin, the TCS34725 uses the I2C. “I2C has the advantage that it only needs two signal connections to Arduino—using multiple devices on the two connections is fairly easy, and you get acknowledgment that signals have been correctly received. The disadvantages are that the data rate is slower than SPI and data can only be traveling in one direction at a time, lowering the data rate even more if two-way communication is needed…. As with the other breakout boards I’ve purchased from Adafruit, the TCS34725’s is very easy to wire up to the Arduino. This tutorial does an excellent job helping you wire up and test the chip. There is no reason to repeat it, so go for it if you are following along. I wired the LED pin to GND to turn off the LED that is on the chip. 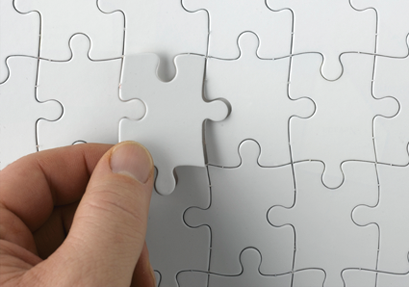 Perhaps many of you run across adjusting the integration time and gain in other projects. I find how folks word a sentence and how I interpret the same sentence can drastically vary. So I wanted to understand the ramifications of these two parameters. …It is pretty much the same as camera exposure time. This can help in low-light. It can also make a difference with non-constant sources like fluorescents. You need to integrate over some number of 60Hz cycles to get an accurate average measurement. The term “count” in the context of sensors usually means the raw ADC output. I would interpret “MAX COUNT” to be the full-scale reading for the specified integration cycle setting I set the integration time to 700 ms with the intent of optimizing for sensitivity since speed is not a concern. The 3.8 million-to-one dynamic range of the sensor means that measurements at the lower end of that range would only be using 1 or 2 bits of the A/D resolution. Given we’re looking at lights on and not dim lighting conditions, using gain is not a concern. I set the gain at 1X. The table below shows five different light setups. I measured the LUX for each using the TCS34725 light sensor as well as a LX1010B Light Meter . I also recorded the Color Temperature readings gathered from the TCS34725. Light A is early morning light that I have the pleasure of observing from my desktop. Light B is a “natural light” CF reading lamp. Light C is an AeroGrow 3. Light D is a T5 above my DIY DWC hydroponic system. 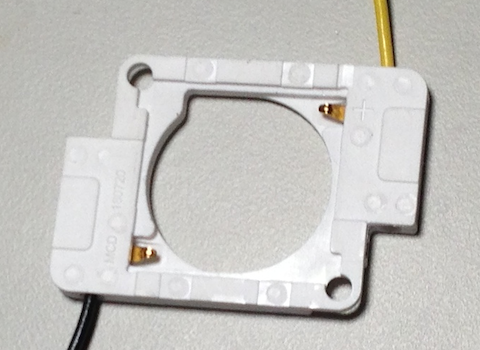 Light E is the “warm white” CREE LED array that is part of the LED system I was building in this post. A “warm white” color temperature look yellow-orangish. I got readings of around 2150. This particular LED array is specified to be 2,500. “Warm white” helps achieve a more abundant amount of veggies and fruits because it enhances the flowering stage of plant growth. Why aren’t these values exactly the same? I assume for a variety of differences used in measurement – differences in temperature, calibration (or lack of in the case of the TCS34725), precision of measurement, algorithm(s) used to calculate the Color Temperature, and most likely others I can’t think of. I feel the Color Temperature readings from TCS34725 are “good enough” for now. They are in the ball park that are needed for optimizing flowering of plants. Yet I do not have enough information to say anything about whether this particular led array has or does not have a Color Temperature of 2,500. The LUX readings differ on an average of 1:1.76, with the TCS34725 always giving the larger readings. This different strikes me as too different to ignore. Yet they are probably explained by a lack of calibration of either the Light Meter or TCS34725. So do I calibrate and if so – what should I use? For now I’m going to move on and accept the readings of the TCS34725 without adjustments. Right now I want to explore and get to a reasonable understanding of challenges that would need further investigation if more precision is required. Next up: exploring signal strength of the nRF24L01’s. On the good and bad news front – my cc3000 has decided not to play anymore. Adafruit is sending me a replacement. Once I get that, I’ll be sending the data from the Sensor Nodes to the PHP service. I also want to try out the JeeNode and JeeLink I recently purchased after becoming an avid follower of JeeLabs. In my mind, nothing can beat the light provided by God for the vegetation and flowering of plants. Plants need light to grow, yet we don’t have sunlight indoors. How are we going to provide out indoor gardens with light? TBD: More to be written. Right now linking to the steps. There are various lighting technologies that can be used for grow lights. I chose LEDs for the reasons listed in this blog post. Also because LEDs are fun. They have so many applications – like light shows on bridges. 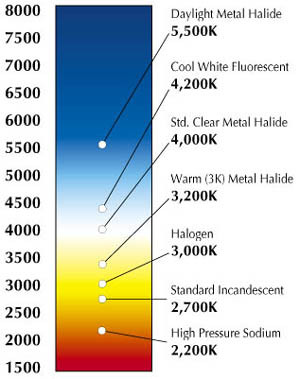 An important concept with visible light is the color temperature. My first attempt at building light to fake a plant into thinking its basking in the sun is based on this circuit diagram Richard had me draw at the end of our effort. I decided to draw a (hopefully) more readable version. Let’s meander through the components. I cover what I learned about LED lighting for optimizing indoor plant growth in this post. For my first LED system, I chose to use LEDs that covered the spectrum of visible light that is most absorbed by plants during photosynthesis. I chose CREE CXA2520 LEDs. From reading other blogposts by folks who set up similar systems, CREEs are known for their quality and have great specs as noted in the data sheet. Here is a nice video on these LED modules. And bought these cool LED holders that don’t require soldering when wiring the LED to the circuit. To pick the size and number of LEDs that will do justice to the light requirements of plants, the ideal (and smart) method is to figure out the amount of LUX and wattage needed based on the size of the grow area, number of plants, and distance of the LED light source from the plant’s leaves and flowers. SuperAngryGuy’s posting on Reddit is a great read on this subject. This would be the logical way of going about choosing how many LEDs to get. I did a bit of that but I don’t learn by designing thoroughly then doing. I have to incrementally learn by doing, figuring out why what I did was incorrect, adjust, and finally evolve into knowledge of what works for the scenario I have set up. In the spirit of learning by doing – which I don’t even argue takes more time but is more effective for how I learn – I ordered two CREE CXA2520. 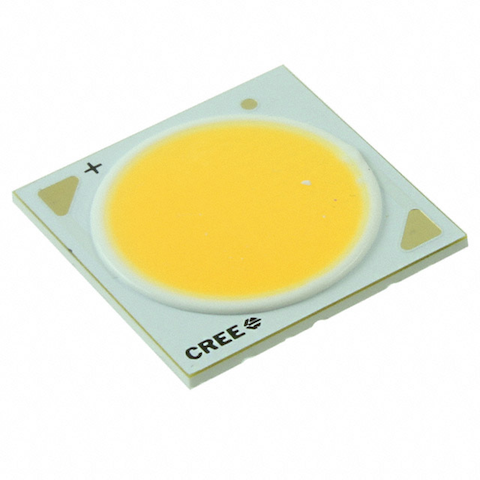 One provides cool white light at a color temperature of 5000K, the CREE CXA2520-0000-000N00P40E7. One provides warm white light at a color temperature of 2700K, the CREE CXA2520-0000-000N00P20E8-ND. I am concerned the cool temperature is not blue enough. SuperAngryGuy noted on Reddit: “Get the 6500K for veging, the 2700k for flowering.” I was anxious to get going so I went with 5000K. Time will tell and knowledge will blossom (sticking with a plant metaphor). Given my crude calculation, 250W / 48V seemed more than enough to power the LEDs. I also liked the way multiple LED drivers can be hooked up which means each driver does not need a separate power supply. While this is a great driver, it’s maximum driver current is 1A. The LEDs I’m using (CREE CXA2520’s) have a maximum DC forward current of 1.25A. Drat. I should have ordered LDD’s that handled a little more than 1.25A. For now, I’ll use the LDD-1000H’s and not run the LEDs at full power. Hopefully this will prevent my LDDs from malfunction. I plan to use the dimmer switch to adjust the brightness of the LED and thus lower the amount of current the LED needs. This blunder is a testimony to reading data sheets more closely and matching up currents and voltages. The brains behind this operation is an Arduino Uno. I’m using the Uno because I have a few lying around. I will only be using one PWM pin for this circuit. Eventually I will hook up different sensors for water temperature, air temperature, pH, and TDS so that I can monitor the environmental variables that will affect the growth of a plant. I couldn’t help myself. I tried out the circuit. Besides seeing huge white spots in most of my vision, the LED Array module started smoking. 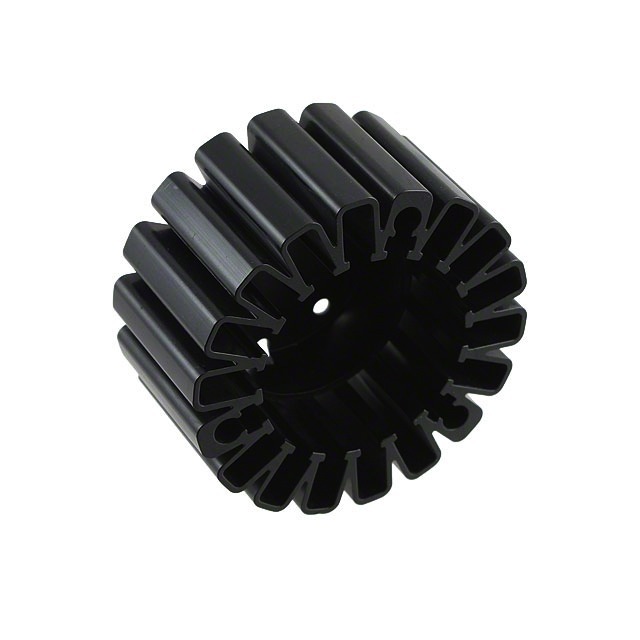 Of course you say – any numnut would know you must have a heat sink before testing. Well, like the person that learns stoves are hot by putting their hands on a lit burner, I seem to follow the same kind of exploratory learning. 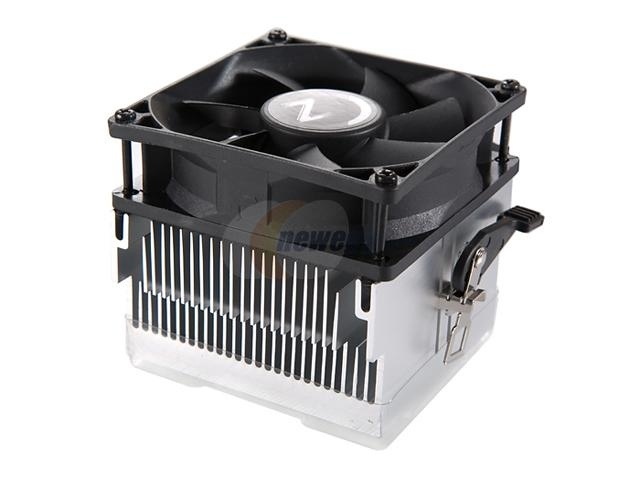 Based on this blogpost: High-power LED grow light – a build log, I bought two Rosewill RCX-Z80-AL AMD CPU coolers – one for each LED Array. They were around $7 each. however, the cost was around $21. 3x the cost of the “not specifically for” heat sink I ended up ordering! I just couldn’t bring myself to pay 3x for something that didn’t seem to provide additional value other than being a perfect fit for the LED array holder – which does have a slight advantage in the ease-of-putting-together. Our next goal – put the circuit together and test it…the fun begins!